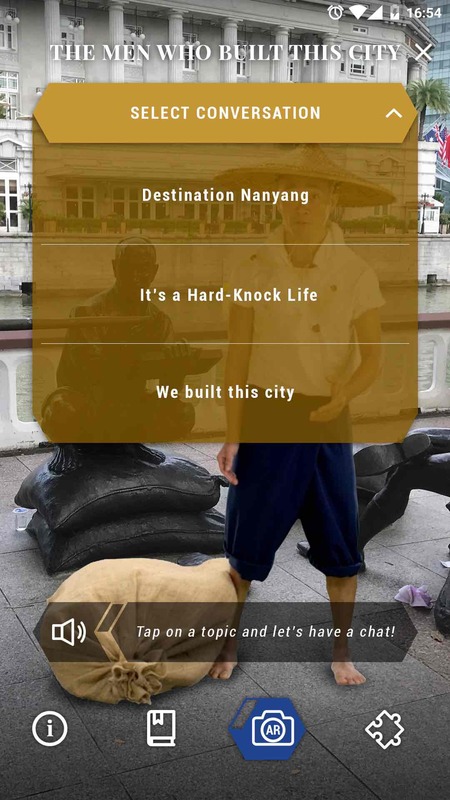 As part of the Singapore Bicentennial Commemoration, the National Heritage Board and the National Parks Board present BALIKSG, a new augmented reality (AR) trail that will bring you on an immersive journey along the Singapore River and around Fort Canning. 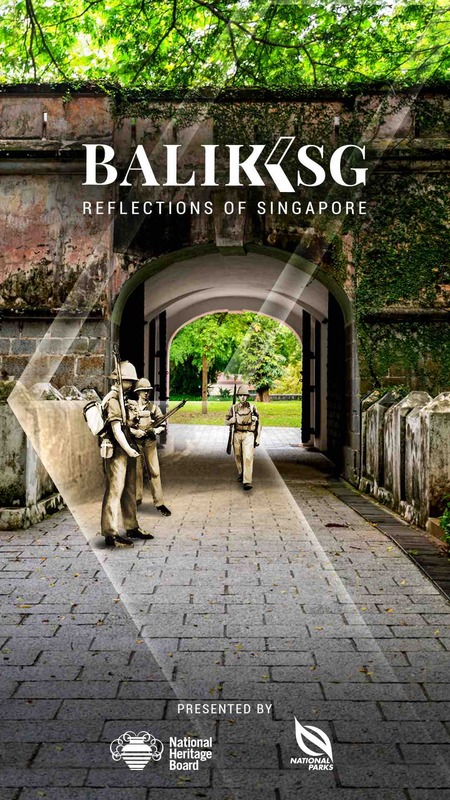 From 28 January 2019, download the free BALIKSG App, and walk the BALIKSG Singapore River Trail to rediscover significant events and places in our history such as the signing of the 1819 treaty at the Padang or listening into a probable conversation between Sir Stamford Raffles and Major William Farquhar etc. The Singapore River has served as an artery of international commerce that attracted people from all over the region to seek their fortunes on this island. 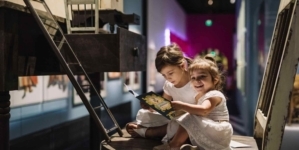 Revisit historical events and meet the early settlers who called Singapore home, including a Baweanese pondok chief, Chinese coolies, Indian Chettiars, and even Raffles and Farquhar! 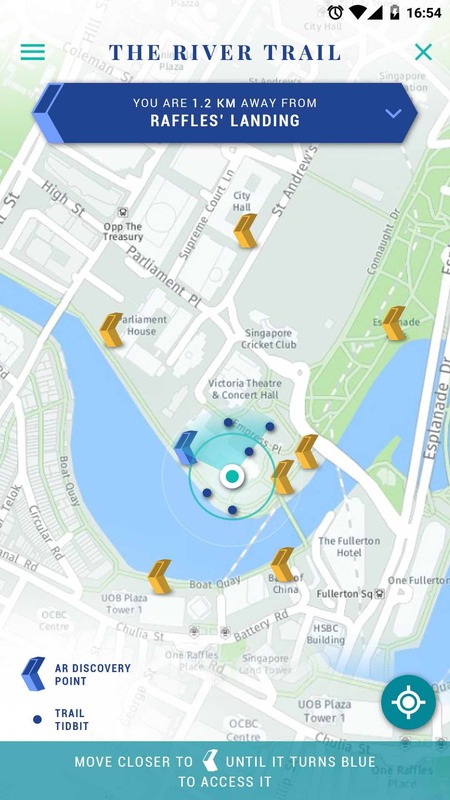 Witness the first 100 years of development around the Singapore River. See Bukit Larangan through the eyes of Raffles, Farquhar and the early British explorers when they first arrived on the island, and experience what life was like on Government Hill in the 19th century. Peel back the layers of Fort Canning, and uncover the stories that lie beneath the Forbidden Hill. Sir Stamford Raffles and Major William Farquhar landed in Singapore on January 29, 1819. Raffles was an officer of the British East India Company tasked with establishing a trading post in the region. Assisted by Farquhar, Raffles selected Singapore as the new British settlement to replace Malacca. 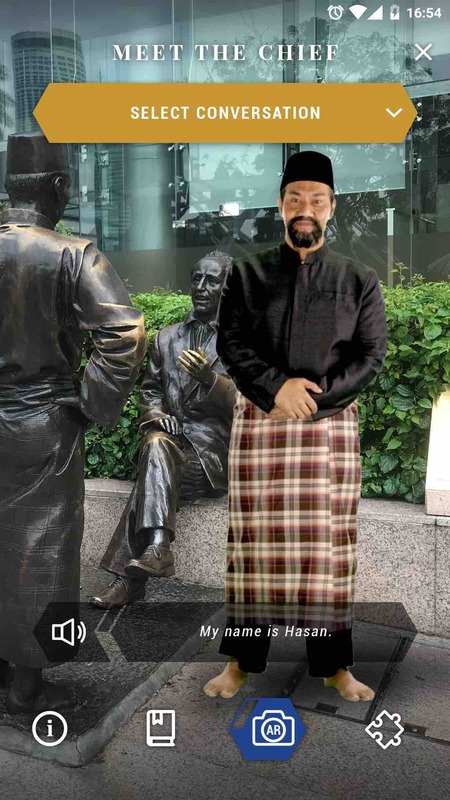 They wanted to meet Temenggong Abdul Rahman in order to sign a provisional treaty with him, which would allow them to set up a trading post on the island. At this stop, interact with them as they make their plans for the island, just after embarking on our shores for the first time. As much as the Singapore River has been an important artery of commerce for our nation, the bridges that cross them have also been crucial to the movement of people and goods on our island. The fact that they are still used today is a testament to their significance and the planning of the early builders, though changes from their original forms and purposes have taken place. 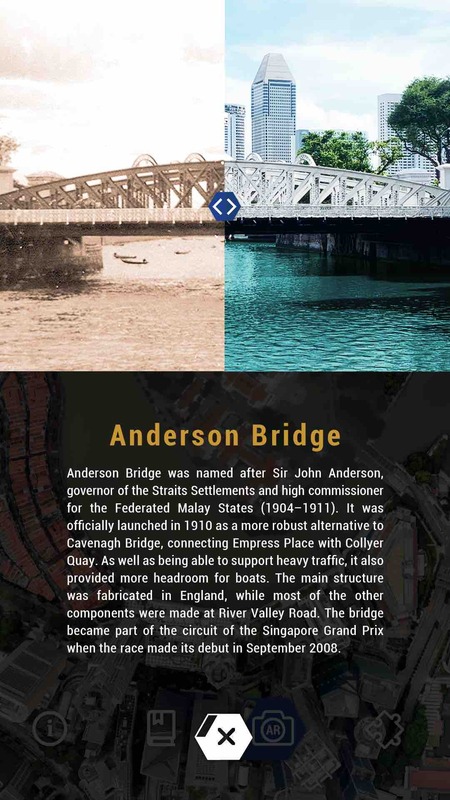 Find out how bridges such as the Elgin Bridge, Cavenagh Bridge and Anderson Bridge have evolved. Go back in time to experience one of the most significant events in our history: The signing of a treaty between Sir Stamford Raffles, Temenggong Abdul Rahman and Sultan Hussein Shah of Johor, allowing the British East India Company to set up a trading post in Singapore. 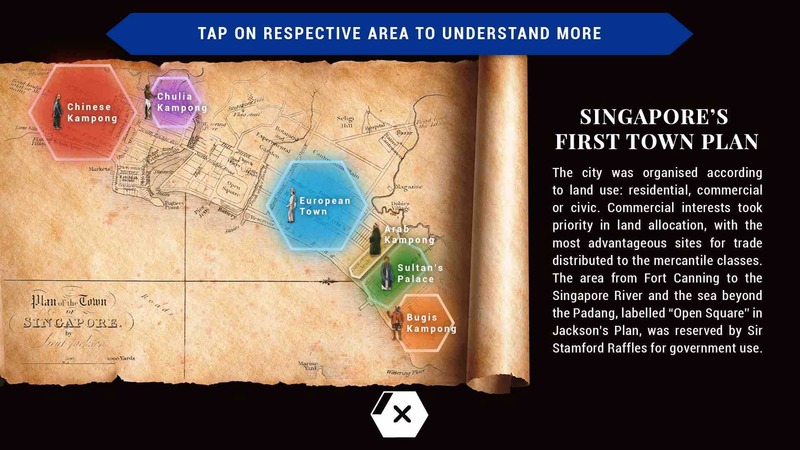 What were Sir Stamford Raffles’ thoughts when he instructed Lieutenant Philip Jackson to draw a town plan for Singapore? How has Singapore changed since 1822? This blueprint, titled “Plan of the Town of Singapore”, was drafted by Lieutenant Jackson, the British East India Company engineer and land surveyor tasked with overseeing Singapore’s development by Raffles, and what he put on paper in 1822 still affects our city today. This urban plan is also referred to as the Jackson Plan, or the Raffles Town Plan. Do you know where small and medium-sized enterprises got their capital in the 19th century? The Chettiars, a subgroup of the Tamil community who originated from Chettinad in Tamil Nadu, India, were Singapore’s first financiers. 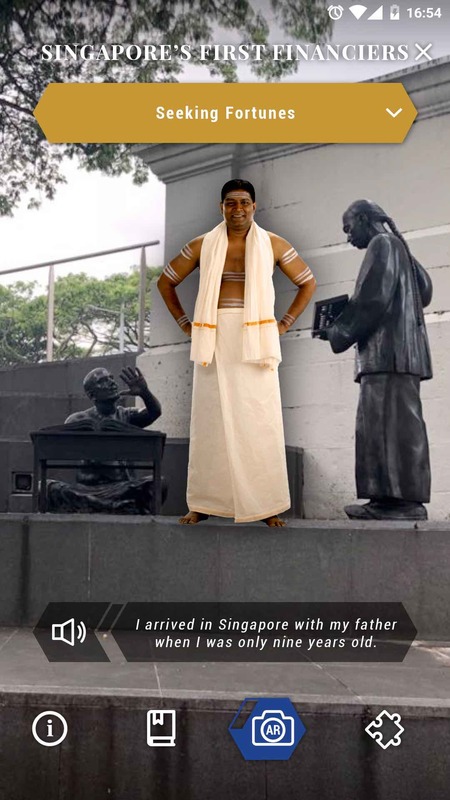 Traditionally, the Chettiars were involved in the trade of precious stones, but later became private bankers and moneylenders, establishing their presence in Singapore as early as the 1820s. They plied their trade at Market Street, usually on a low desk on a woven mat, and were precursors to the huge financial institutions in the area today. Come hear a Chettiar’s story. 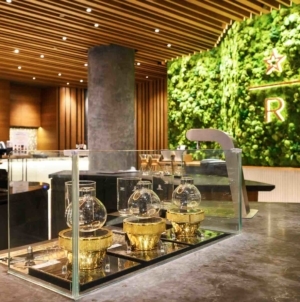 Coolies were impoverished, unskilled Chinese immigrants who had come to Singapore to seek their fortunes, but ended up as contracted labourers who worked in industries such as construction, agriculture, shipping, mining and rickshaw-pulling. 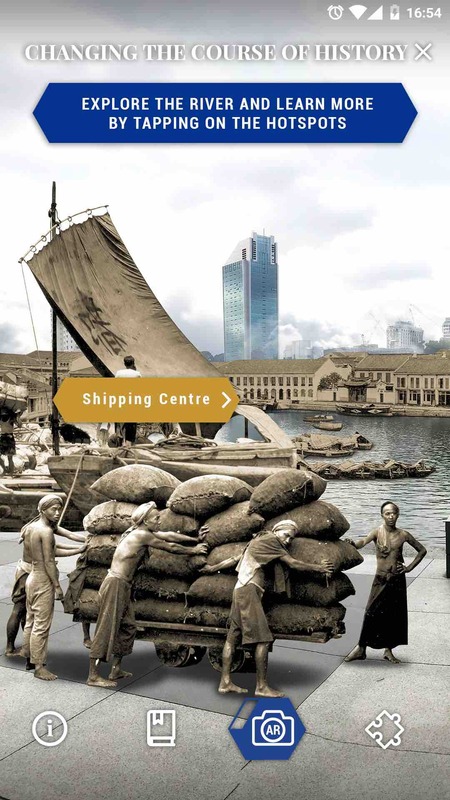 Coolies carrying gunny sacks of commodities were a common sight along the banks of the Singapore River. Where did they come from and what was their life like? Listen to a coolie talk about his struggles, and dreams of a new life in a strange land. When Baweanese immigrants arrived in Singapore in the 19th century from Pulau Bawean in East Java, they lived in communal shelters called pondoks. 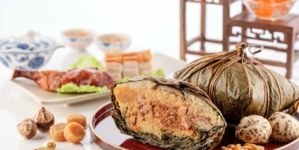 A pondok was led by a pondok chief, also known as a pak lurah, who took charge of the welfare of the pondok’s residents, and also financial and religious matters. 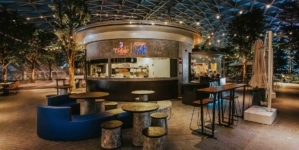 More than just a dwelling space, pondoks were a social institution that took care of newly arrived Baweanese, and helped them settle in a foreign land. Come meet the pondok chief, and learn about his many responsibilities. The Singapore River has been central to our history. With a naturally sheltered port at its mouth, it became the island’s centre of business and trade which the city grew around, crowded with bumboats full of goods, and shophouses and godowns (warehouses) lining its banks. In recent years, the river has been transformed after a massive clean-up, and today it is a tourist attraction packed with bars, restaurants and shops. What did the river look like in the 1880s? BALIKSG lets you find out. More information of the Fort Canning Trail will be made available in June 2019. BALIKSG can be downloaded for free through the App Store and Google Play store from 28 January 2019. 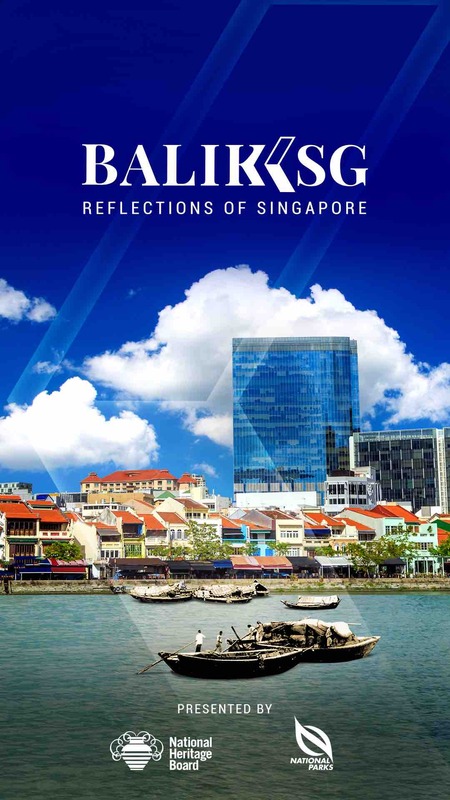 Visit www.balik.sg for more information. For social posts, do hashtag #baliksg. 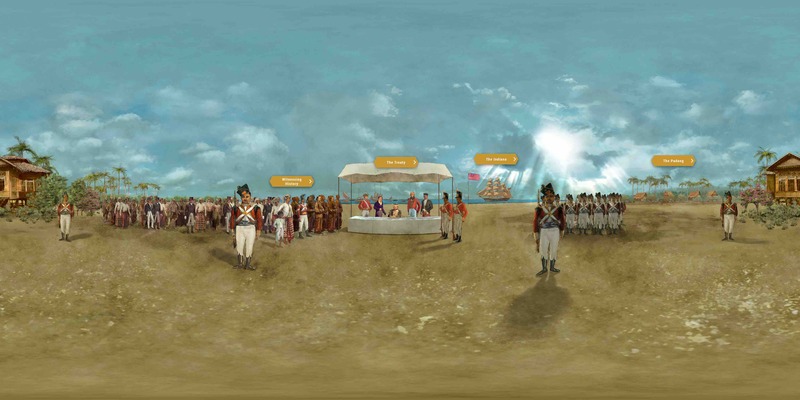 Please visit www.bicentennial.sg for more information on the Singapore Bicentennial Commemoration.